Hey there! I know no one really wants to talk about back to school already, and I don’t blame you! But, August is just a couple of days away and that means that the new semester is right around the corner. Links below are affiliate links meaning that I earn a small commission off of your click/purchase. All opinions are 100% my own. Thank you for supporting Creatively Lauren!Remember when you were a kid and you always got a list of the suggested school supplies to bring? I loved those lists, and school supplies shopping. 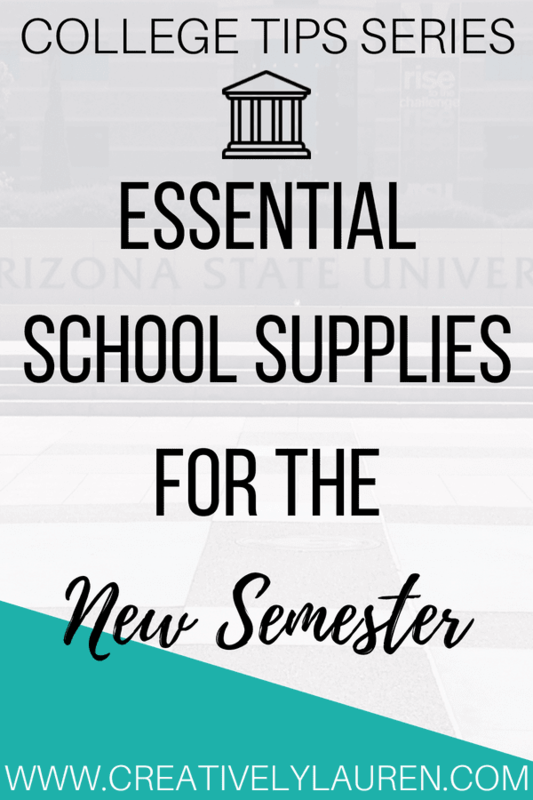 So, I wanted to share some essential school supplies for the new semester, college edition! If you love color coding like I do, then colorful pens are a necessity for note taking. There are many ways you can organize notes using color coding, you just have to find something that works for you. I definitely believe that colorful notes are much more appealing than just black and white. You are going to be getting handouts and essays back in your classes, it’s easy to keep all of that organized in binders. You can have a separate binder for each class or you can have a larger binder broken up by days (ie. Monday/Wednesday classes binder, Tuesday/Thursday classes binder). Regardless, set up a system that works for you. Most colleges now have a central hub online like Blackboard or Canvas, and do a lot of class requirements on those platforms. Yes, you can still use the library and access those hubs there, but I’m a big fan of doing my homework in the comfort of my own room. So, it is pretty important to have your own computer. It doesn’t have to be the newest, flashiest computer, just something that will get the job done. I’m a big believer of the idea that you retain thoughts better if you handwrite them versus typing them on the computer. All through college, I took paper notes, even if I brought my computer to class. I always kept a separate notebook for each class, and I loved it. Besides colorful pens, I used highlighters to color code my notes. You don’t need anything more than the standard five colors, but it definitely will help to have some highlighters in your bag. 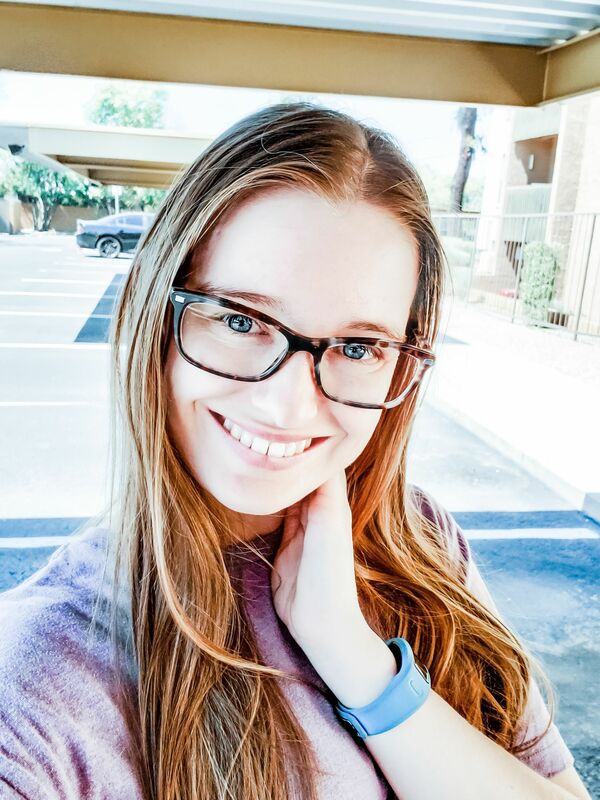 Grammarly is my favorite grammar program for college use and I still use it for my blog today! There is a browser extension available, but Grammarly is also available for use in Microsoft Word. They have a free account and a premium account. You just have to sign up and Grammarly will start proofreading your papers and assignments for you, for free! If you want more advanced features, you can upgrade to their premium plan. If your teacher is giving out paper tests, on scantrons, then you’re going to need pencils, which is something many people forget about. You can get the ever so iconic Ticonderoga #2 pencils, or you can get some mechanical pencils. Just make sure you have a pencil on test day. Plus, you could be the nice kid in class and bring extras for those who forget, because trust me, some will. With so many dates to remember throughout the semester, you need to have some kind of planner to keep it all straight. Yes, you can use Google Calendar or a digital calendar, I did. I used it just for my class schedules. Due dates, exam dates, I wrote those down in a planner. You can get your school’s planner from the bookstore, or something as nice as The Happy Planner, or an Erin Condren Academic Planner. Make your planner your own and make it help you this semester. Those are my essential school supplies for the upcoming semester! What’s on your school supplies list? Let me know in the comments!